So you're a budding all-grain homebrewer, and you just brewed a smooth amber ale, or perhaps a heavy oatmeal stout. Now you have several pounds of spent grain leftover. What do you do with it? It seems like such a waste to toss out all that grain when it has so much potential left! If you have chickens, you could use it as feed, or you could eat it for breakfast like granola. But possibly the best use of it is as a flour for breadmaking. Since you just made beer, your spent grain will be wet, so the first step is to dry your grain. Spread the grain on your cooking tray about half an inch thick. Turn your oven on to the lowest heat setting available. My oven goes down to 170 ºF, but lower works as well. You want to dry the grain without burning it. Make sure to leave your oven door cracked open to let the moisture out. This drying process should only take a couple of hours. Stir the grain periodically and check how damp it is. When the grain is dry, it will be lighter weight, and crumble in your fingers. Now that your grain is dry, it's time to mill it. If you are using a mill, adjust to the coarseness you want. If you are using a food processor, you'll have to keep an eye on it and stop when it's at the desired coarseness. Some people (or bread recipes) prefer coarser grain for texture, but you can also grind it very fine and use it in place of your whole grain flour. Using a mill is arguably more fun, but most certainly a lot more work! I ended up milling my grain twice to get it fine enough to use a flour, so I ended up doing twice as much work as I should have. Congratulations, you made flour from spent grain! Now store it in an airtight container and use it next time you bake bread. Some people also store their flour in the freezer so it lasts longer. Happy spent grain bread making! We are so excited to try this to make Dark Beer mash grain flour! A note about using blenders to grind the grain, test small batches first. 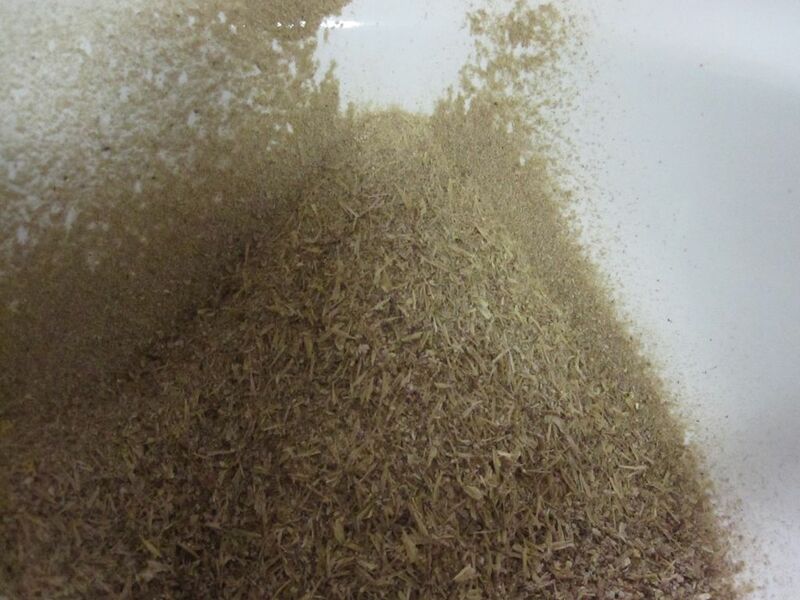 The motor may not be enough to handle grinding grain in larger quantities. Great ible! I've seen people use blenders or food processors to do the job, but since I used a hand-powered mill, I didn't have the chance to see how well it works. Thanks for the tip! Good idea! Have you baked anything with this flour yet? I'd be interested to know how it tastes. I usually feed the spent malt to the chooks but I do use the leftover yeast to make a tasty beer bread. Maybe you could combine the two and make a real ale bread. Top it off with Barmite (a homemade yeast spread) from the rest of the yeast and you'd have a real hit (at least with Kiwis like me) and you might even get a grudging nod of approval from the SO. Tasty beer bread? Barmite? I see a couple of instructables in your future. I haven't heard of using the fermentation yeast for breadmaking though. What's the technique for that? I'd be very interested in giving that a shot as well. Now all I have to do is find a source of spent grain. Get in good with a local home brewer, most of them would love to see the grains used further. I usually end up with about 8-9lb of grains going into the compost pile when I brew but this is what I'll be doing from now on. As I mentioned in the intro, the spent grains are left over from all-grain beer brewing. So there is an initial investment in the grain for the making your beer, but afterward, you're left with a pot of spent grain that has no further use in brewing. This is a simple way to make use of that leftover grain instead of throwing it away.